These small 180′ ferries are used in Puget Sound, Washington and also on the Wadden Sea off the coast of The Netherlands and Germany. 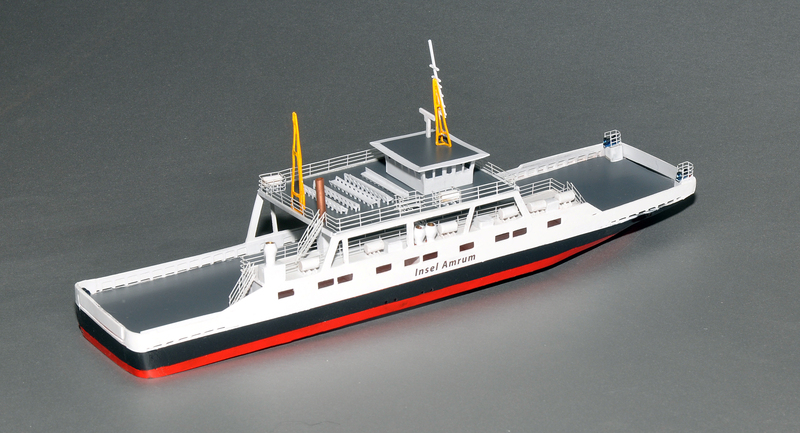 This is modeled after the Insel Amrun, which ran between the northern German coast and the island of Amrum, famous for its long sandy beaches. They first appeared in the 1960s and many served past 2010 or are still in service in 2015 in reserve roles. This is an all styrene kit with a sharply shaped bow. The interior bracing on the gunwales is modeled, as well as the seating on the upper deck. This is about a two-night project for a modeler used to building with styrene. Brass railings and stairways, and barrel-shaped exhaust stacks are beautiful finishing touches. 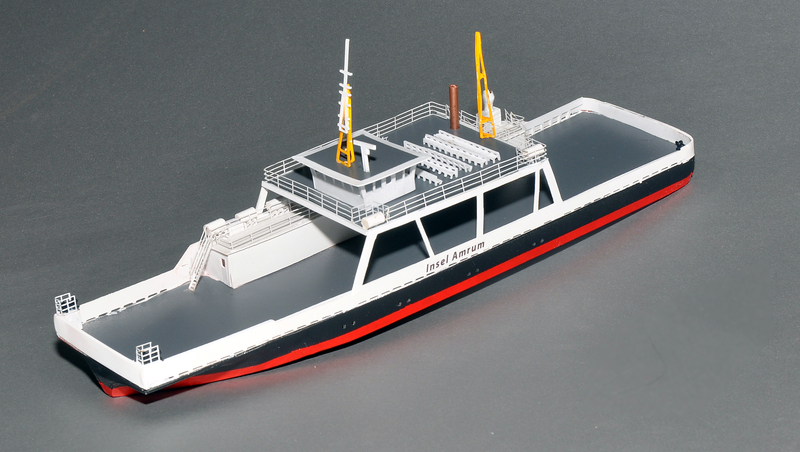 The model is 343 mm (13.5″) in length in N scale; and 252 mm (10″) in Z. A custom built loading ramp is available, and will be announced soon.